From today until Tuesday, Dec. 1st, Colorado law enforcement officials will be out in greater numbers, looking to target and arrest impaired drivers. This Thanksgiving DUI crackdown is part of the state’s ongoing The Heat Is On campaign, which is focused on running heightened DUI patrols over 12 holiday periods throughout the year. According to the latest information from the Colorado Department of Transportation (CDOT), more than 100 local law enforcement agencies in the state will be joining the Colorado State Patrol (CSP) in conducting this DUI enforcement campaign. The holidays are a time to spend with family and friends…It’s our most important job, along with other law enforcement agencies, to make sure that people get to where they need to be safely for Thanksgiving by getting impaired drivers off of the roads. 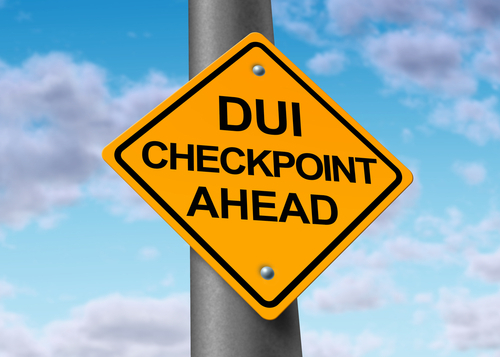 Last year, Colorado authorities made 346 arrests over the Thanksgiving DUI enforcement period. This represented a drop from the 2013 Thanksgiving DUI arrest total of 411. The Thanksgiving weekend is one of the top weekends for DUI arrests in the nation, with today – “Black Wednesday” – marking one of the single biggest drinking days of the year. Those who are arrested for DUI tonight, tomorrow or at any point this weekend will likely have to stay in jail until Monday when officials return to work to process them for release. Find a sober ride to your celebration by asking a friend, taking a taxi cab or using a ride sharing service. Stay the evening with the host or a friend. Book a hotel or motel room near your Thanksgiving holiday party. Change your plans and keep your celebrations at home if alternative plans are not working out. Have you been charged with a misdemeanor or felony drunk driving offense? If so, you can turn to the Denver & Boulder DUI lawyer at Griffin Law Firm for experienced help and the best possible defense.